This photograph was found in a box of old family photographs. 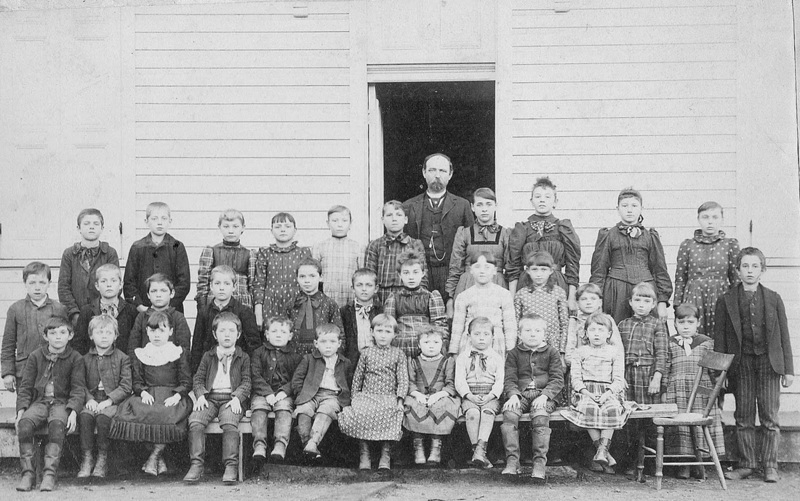 It is certainly a turn of the century photo of a one room school house class and teacher. No names appear on the back of the photo. I knew the picture came from Pine Grove area of Pennsylvania as it had been in my Aunts Family Photograph Box. She said, "the boy sitting on the bench to right of the little girl is your grandfather." She did not know any of the other faces, names, or exactly where or when the photograph was taken. Utilizing a good old magnifying glass, Family Detective Staff began looking for unique features in the picture. We were looking for family descendants. Can you find the two girls in this photo having the same dress? They are most likely sisters. How about twin boys? My grandfather had older twin brothers! How about the smallest girl in the class? My grandfather had a sister who was quite small in stature. How about the boy with the big ears? My grandfather had a brother with huge ears? 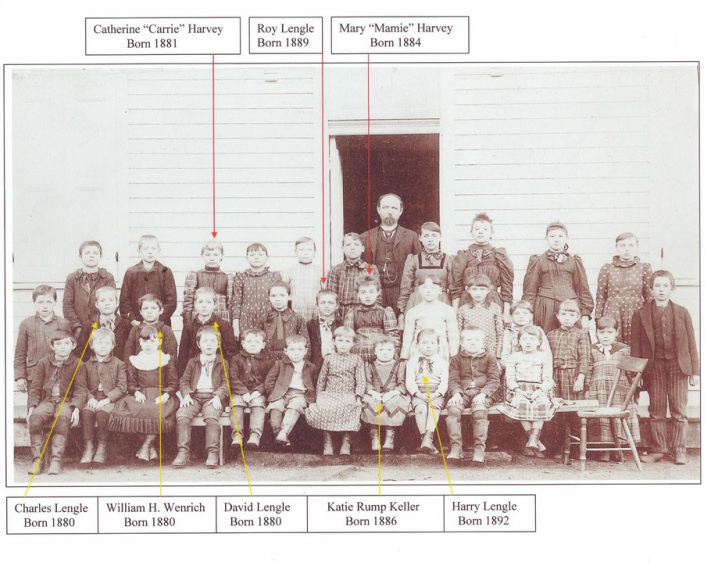 The photograph below has arrows going to the identified children. My grandfather was easy, my Aunt told me who he was in the picture. My grandfather twin brothers, David and Charles married the Harvey sisters, Catherine and Mary who were 3 years apart in age. My grandfathers sister Katie is a small as everyone said she was! Roy ears and facial comparison to other pictures helped identify him. Let us help you put names to the faces on your photographs!